The Götti Perspective Collection is the answer to minimalism. Technically as well as aesthetically, it gets to the heart of the design and is a stylish statement despite its inconspicuousness. The eyeglass system consists of only a few sophisticated individual components that are connected to each other. The system is put together without screws, glue, or soldering. Not until the lens shape is added does it become a complete set of glasses, whose lightness is second to none. 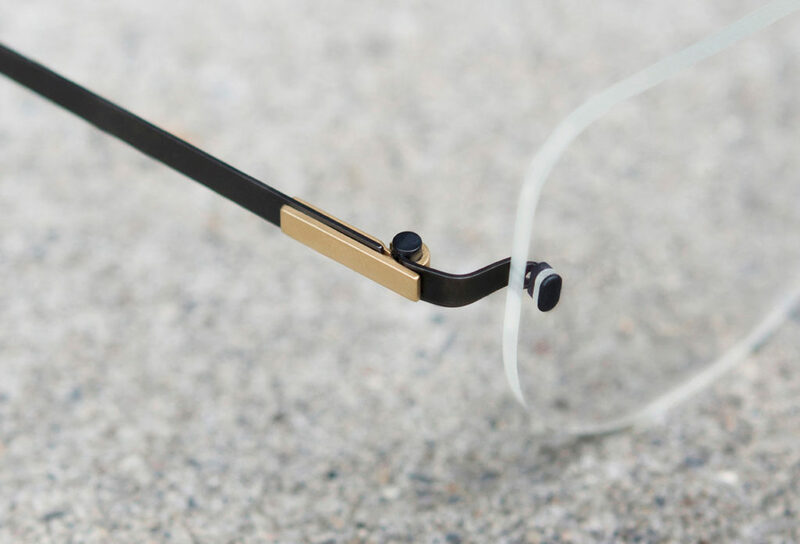 The decisive connecting part between the stainless steel and eyeglass lens is manufactured using 3D printing. These perfect material characteristics provide a durable connection as well as a soft protective covering around the glass. All components were developed by Götti Switzerland and are manufactured in our own factory in Switzerland from high-quality Sandvik stainless steel, which possesses the required flexibility. The result: Ultralight and precise glasses “made in Switzerland.” The collection is supplemented with new sunglasses – the “must-haves” of the coming season.